Beautiful, written and produced by Linda Perry, is a classically-flavored ballad from Aguilera's album Stripped. The song was a significant commercial success and has been certified platinum; it also received acclaim from critics and is often considered one of Aguilera's strongest singles. Its message celebrates inner beauty and not letting other people's opinions affect your self-esteem. 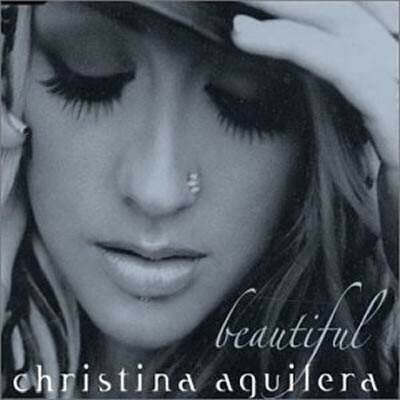 Because of its message of empowerment and self-acceptance, Beautiful was adopted as an anthem by the LGBT community. The music video, directed by Jonas Akerlund, received a GLAAD Award for its positive representation of gay and transgender people. Notes for Parents: The lyrics of this song are suitable for all ages, although the mature emotions discussed in them may be most understandable to girls 10 and up. The video includes a number of scenes that may be of concern to parents, including a teenage girl who is significantly underweight, a girl being physically bullied by her peers, a gay couple sharing an open-mouthed kiss, and a transgender person donning women's clothing. That said, the video is as positive as the song, and clearly communicates the message of acceptance of all people.